SPM Thermoshield Inc. was formed in January 1992. This was when the Naples, Florida-based company purchased Thermoshield from its original developer. General Industries enlisted resin supplier Rohm and Haas to help create the kind of resin needed to give Thermoshield its flexibility, longevity, and protective properties. Engineering company 3M worked with General Industries to develop the ceramic microspheres that give Thermoshield its potent insulating properties. The microscopic ceramic spheres that became part of Thermoshield products were based on the compounds used to coat space shuttles. By combining the ceramic with a water-based, non-toxic, flexible coating, General Industries was able to make this space-age technology accessible to private residential and business customers. 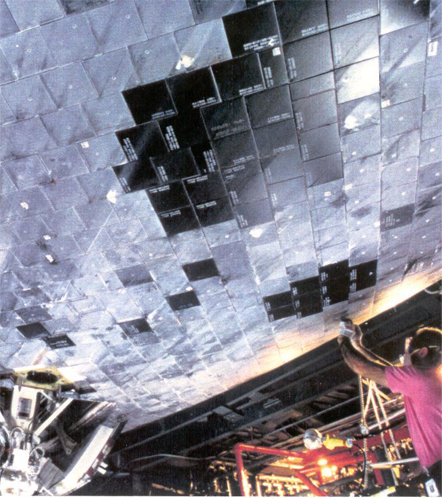 Since some of the space technology was developed in the Colorado Springs area, where General Industries was based, the company was able to consult space shuttle experts during the research and testing phases of Thermoshield's development.